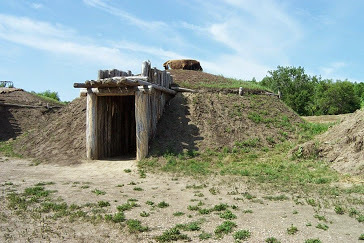 In August, Erstwhile conducted an interview with 2015 History Pulitzer Prize winner Elizabeth A. Fenn on her book Encounters at the Heart of the World: A History of the Mandan People. We are republishing the interview today in honor of her well-deserved news yesterday. Congratulations, Lil! Elizabeth Fenn (Ph.D., Yale University) is an associate professor of history and department chair at the University of Colorado at Boulder. Her latest book, Encounters at the Heart of the World: A History of the Mandan People, was published with Hill and Wang. 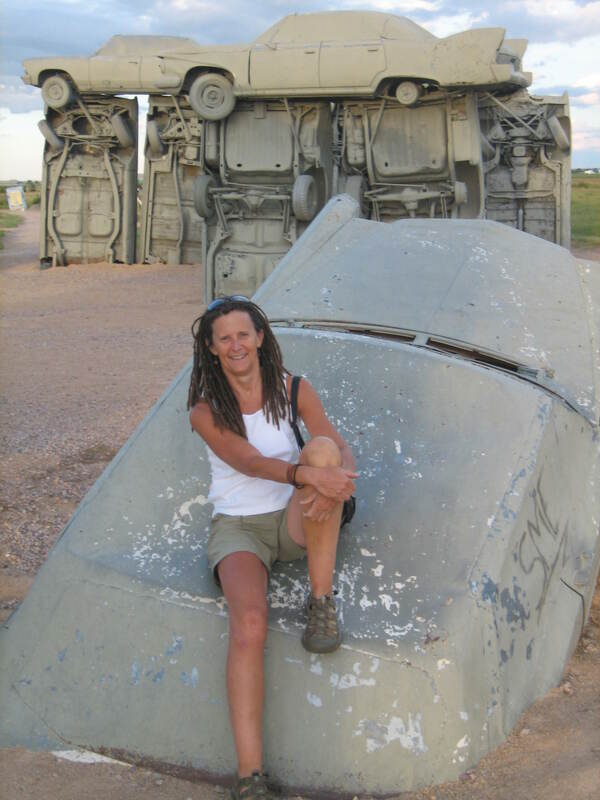 Erstwhile’s Alessandra Link spoke with Fenn about a variety of topics, including her history of the Mandan, pre-contact American history, writing, and the unique challenges/opportunities associated with a scholar’s second book. Erstwhile Blog: What drew you to write a Mandan history? Smallpox is central character in this historical work as it was in your first book, Pox Americana: The Great Smallpox Epidemic of 1775-82 (Hill and Wang, 2002). Did this project grow out of your research for Pox? Elizabeth Fenn: Pox Americana was indeed what piqued my interest in the Mandans. Pox took me on a whirlwind tour of the North American continent in the late eighteenth century. One of the things I discovered was the presence of a vibrant, densely populated commercial hub at the confluence of the Heart and Missouri Rivers—the homeland the Mandans called the heart of the world. I was amazed by what I learned, and I came away marveling that we knew so much about population centers on the Atlantic seaboard but so little about much older, equally significant centers in the middle of the continent. It prompted my desire to learn more. EB: You note that as you learned more about the Mandan, the more you realized, “that the Mandan story provided an alternative view of American life both before and after the arrival of Europeans” (p. xv). A considerable amount of ink has been spilled on post-contact histories of Native America. How does documenting an intimate picture of the “before” help us re-think American history? EF: The Mandan story turns American history inside out. Rather than beginning with European beachheads on the edges of the continent, it begins in the American heartland, and we watch the Mandans and their ancestors grapple with all kinds of challenges—climate change, competition for resources, warfare, etc.—long before Europeans and Africans arrived. Too often our history books convey a static impression of American life before contact. But native societies here were just as dynamic as societies elsewhere in the world. We lose a lot of explanatory power by ignoring thousands of years of developments and continuities. Moreover, there is something disturbing—dare I say racist?—about beginning in 1492. It implies that native peoples do not matter—that they don’t count. My starting point for human history is demography. This seems self-evident. For thousands of years, including the three centuries after Columbus sailed, most Americans were Native Americans. American history needs to embrace their stories. EB: What advice would you give to prospective graduate students interested in pre-contact Native history? EF: If you’re a graduate student at CU, venture outside the department, and take a class with Doug Bamforth in Anthropology. Take a geology class. Take an art history course. Or sit in on undergraduate lectures in these fields. I did a lot of that in grad school, even for classes I was not TAing for. It was a blast, and it opened whole worlds to me. To me, archaeology and geology seem especially valuable. Archaeologists and geologists have rigorous ways of thinking that are well-suited additions to the historian’s repertoire. When it comes down to it, we are all doing history. Archaeologists and geologists just read a different kind of record—a record we too can use. EB: What is so striking about this work—as with Pox—is its ability to make significant scholarly interventions while also captivating a large popular audience. That is a rare feat for historians. Do you keep a larger reading audience in mind while writing? Any writing habits that you might be willing to share? EF: I am always happy to hear that people find my work readable. My aim is to attract lay readers while still adhering to rigorous academic standards. But I can’t pretend it is easy. Writing is incredibly hard work. My starting point is short, declarative sentences—nouns and verbs, nouns and verbs. When I find myself getting tied in knots, I ask myself “What am I trying to say?” Then I write that down and work with it. As some of your readers know, I dropped out of graduate school in the mid 1980s and spent eight years doing manual labor. The great virtue of a nine-to-five job is that when the day is done, you can drink beer and read whatever you want. I read a lot of fiction during that period, and I made some attempts of my own at writing short stories and creative nonfiction. This led me to read in a new way. Wow, I would think, that was a great sentence. What a cool word. Or what a perfect image. I started noticing writing differently. I’ve had three important teachers when it comes to writing. The first was a Duke professor named Jack Cell, who supervised my senior honors seminar in 1980-81. He was a cantankerous character, and when I turned in a thesis chapter filled with bloviated prose, he let me have it. Then, during my first stint of graduate school, I was studied with an early American historian named Edmund Morgan. Clarity was his calling card. Don’t assume any knowledge, he used to tell us, but do assume your reader can understand what you explain well. The “intelligent Martian” was his target audience. Finally, when I transformed Pox Americana from a dissertation into a book, my editor, Elisabeth Sifton, taught me about literary risk. End a chapter with a punchy, single-sentence paragraph. Throw a long, elegant riff into all those short sentences. But be careful. Such contrivances easily become hackneyed annoyances. EB: Encounters at the Heart of the World is your second book. What was unique about this book writing process compared to your first project? Did you sense that you had more latitude to do what you wanted with this book? Was the process longer or more daunting in any particular way? Any advice for scholars at the infant stages of writing their second scholarly work? EF: The best advice I can give is to follow your instincts. I wasted two years on a project that left me feeling cold and uninspired. I had hatched it simply because I was supposed to have a second book underway. Eventually I dropped it for the Mandan book, which resonated much more deeply for me. This may have been a necessary personal and intellectual process. But avoid it if you can! I did have more literary license with Encounters than I did with Pox Americana. Pox Americana was intellectually adventuresome, but because it was a dissertation first, its structure and style were conventional. Encounters is different. I wrote it as a series of short vignettes, cobbled together in chapters to tell larger stories. To some extent, the fragmentary quality of my evidence drove this strategy. But I also wanted to connect with readers in an age of shortened attention spans. Each vignette should be readable in a brief sitting. I also took more intellectual license in writing the second book. I wanted to be frank about uncertainty, about problematic evidence, and about the hazards of interpreting actions across cultural divides. This led me to write in the first person—not often, but occasionally—in order to make the historian’s task more transparent and to show what a sloppy enterprise it is. The strategy was risky, and I worried about its implicit narcissism. But I eventually decided it was more narcissistic to cloak my prose in a kind of certainty that the evidence and the process do not warrant. That, in the end, is hubris. Reblogged this on Dukeyunuz's blog. Reblogged this on DO CAMPO PARA A CIDADE. Reblogged this on Curious Meridian Portugal. Literature is a discourse which has to be treaded with ecstasy yet precision. And I here saw the amalgamation of both. Kudos! Reblogged this on Man: A Thought. Thanks for your words and congratulations on your Pulitzer. I enjoyed Pox Americana tremendously and even passed it on to classmates and a professor I had for a bio class on re-emerging plagues in the 21st Century. Your story and research help cement the idea that bio weapons were in existence hundreds of years prior to what we normally considered the advent of such things in warfare. Reblogged this on A heart of steel starts to grow.